Nine years ago, a group of girls (and a few guys) put on roller skates and started rolling around a parking lot on the east side of Rockford. Around that time, I&apos;d been assigned to write about the new Rockford Rage women&apos;s roller derby league for the newspaper. It was 2006, and I saw my first roller derby bout - featuring the Windy City Rollers home teams - that summer in Chicago. I was excited when I found out via MySpace (memories!) that a Rockford team was in the works. Little did I know that when I showed up for the interview, the ladies wouldn&apos;t let me leave without joining the team. Roller skates make most people nostalgic, conjuring memories of preteen birthday parties, disco, and limbo contests. Back in 2006, roller derby was experiencing a revival. The sport dates back to the late 1930s, and many people remember watching banked track derby with its hard hits and flailing elbows on TV during the 1970s and 1980s. 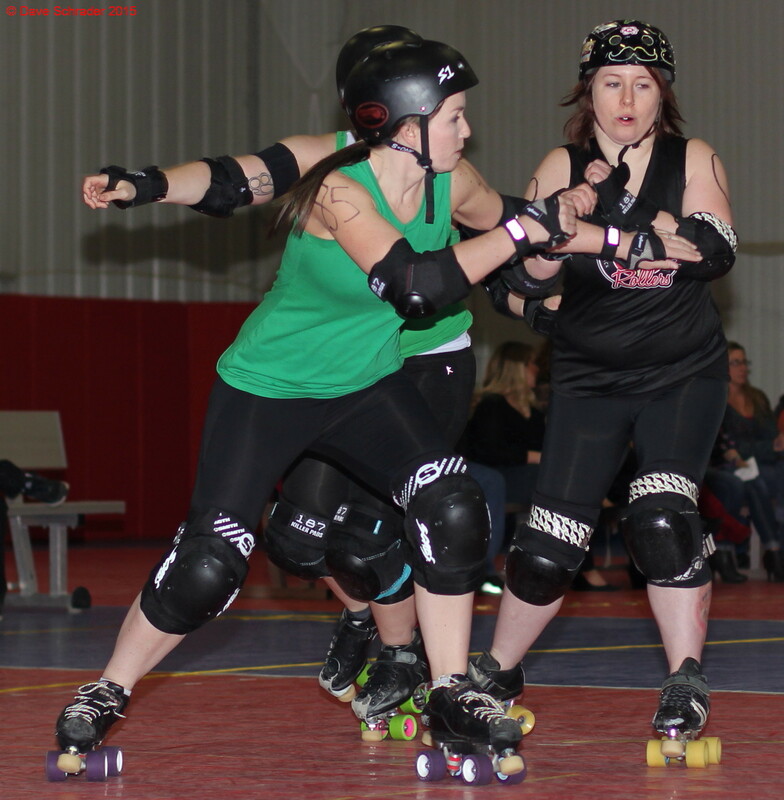 Modern women’s roller derby got its start during the early 2000s in Austin, Texas, according to the Women’s Flat Track Derby Association, the sport’s international governing body. There are more than 400 full-member and apprentice leagues that are part of WFTDA today. Rockford doesn&apos;t have a banked-track league like the derby of old. Part of the reason so many leagues have popped up across the world is because of its flat-track nature. But that doesn’t mean the hits are any less hard or the action less exciting. If you’ve never experienced roller derby live and in person, come out this Saturday, Sept. 19, to the Indoor Sports Center, 8800 E. Riverside Blvd., in Loves Park. The doors open at 6 p.m., and the action starts at 7 p.m. as the Rockford Rage takes on the Illiana Derby Dames of Indiana. It’s a far cry from the early parking lot days. Rage skaters practice every week at SkateCo in Rockford. They skate in bouts almost once a month through the winter, and then the team often travels during the summer or skaters sub for nearby leagues throughout the year. There are teams nearly everywhere nowadays: Chicago, Aurora, DuPage County, DeKalb, the Quad Cities, Quincy, Peoria, Springfield, Decatur, Champaign, and Marion, just to name a few in Illinois. These women are tough and fearless, dedicated and passionate about their jobs, their families, and roller derby. They don’t get paid to play – in fact, they pay dues each month to help cover costs. Roller derby provides an outlet for camaraderie, fitness, and teamwork that’s not as accessible to women after they graduate from high school and college sports. And I’m proud to call these women my friends. I skated with the Rage for about three seasons, but I’ve been involved as a volunteer ever since I stopped skating. Trust me, watching roller derby will make you want to get involved in one way or another, be that as a skater, referee or non-skating official (they help with everything from scorekeeping to penalty tracking). 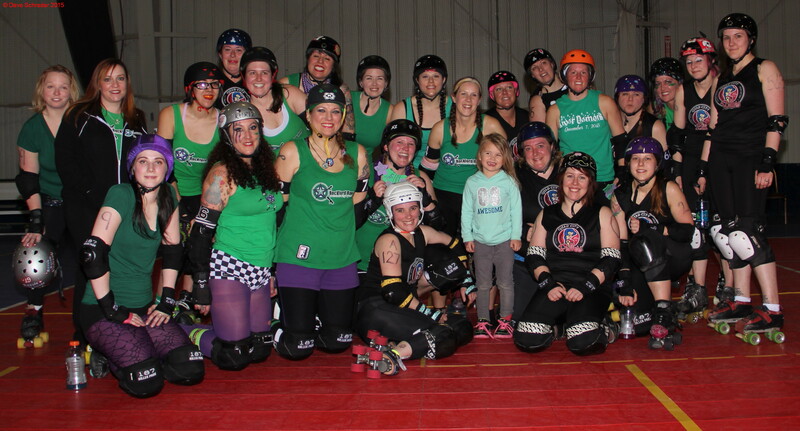 Roller derby is just plain fun, evidenced in part by the names skaters choose when they join the league. I still go by Scarrie Bradshaw, and many of us after all these years still refer to each other by our derby names rather than our real names. You’ll also see skaters including I.B. Eazy, Nitro Krycerin, Peach, Subpoena Envy, Razzle Dazzle Vajazzle and D. Coli lined up on the track this weekend. Roller derby is also charitable. The Rage donates part of its bout proceeds to a local organization, person or family after each bout, and the ladies often volunteer their time at different efforts. This weekend’s bout will benefit the Teen Health Advisory Team. There are other opportunities to get involved if you can’t make the bout this weekend. Be sure to “like” the Rage on Facebook for the most up-to-date information about the league. There are additional home bouts on Oct. 17 and Nov. 21, or you can email rockfordrage@gmail.com if you’re interested in becoming a skater or a volunteer. Tickets for the bout are $10 in advance at brownpapertickets.com or $15 at the door for adults, $5 for children ages 5 to 12 and free for children ages 4 and younger. Hope to see you there! 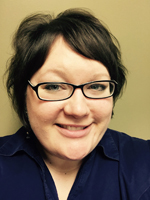 Melissa is a writer for a local Rockford nonprofit. 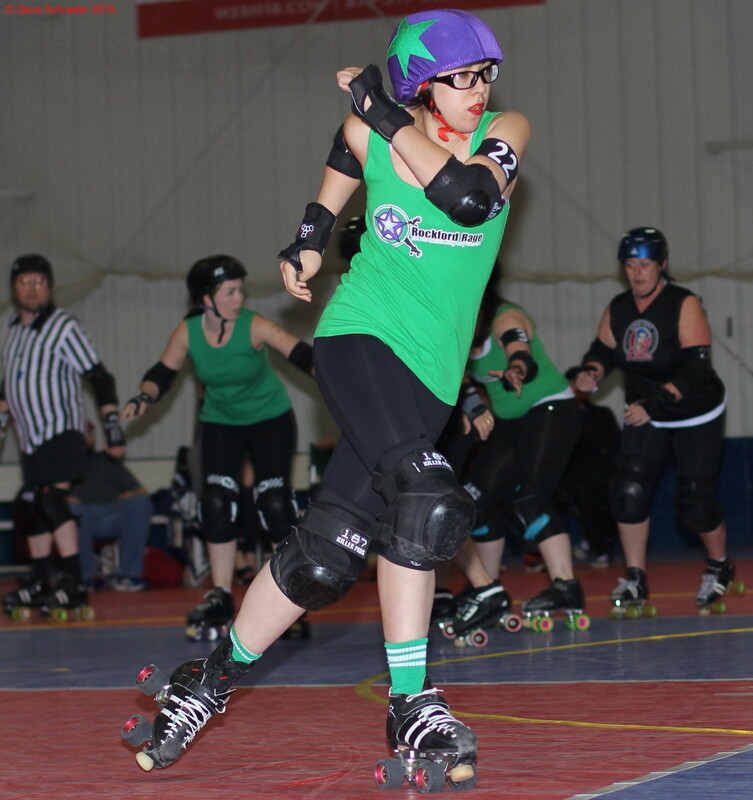 She loves local shops, restaurants, music and roller derby, and celebrates 13 years in 2015 of calling Rockford home. Local citizens in the Rockford Region give their point of view of area attractions and events.